Are you currently experiencing a slow Mac? Does it already have a full space on your disk storage? Looking for a tool that can help you with all these? Well, here, we are going to show you the best free computer cleaner that you can actually have for your Mac. As we all know, once that you have bought a Mac, everything on its system may seem fast. It can only take you a few clicks and voila, a certain application can open up in an instant and booting up your Mac will just take you a few seconds. Because everything is happening so fast on your Mac, there is nothing that you can complain about it. However, as time goes by that you are using your Mac, when you have stored a lot of files and applications in it, you will notice that things just don’t run as it was before you first bought it. You will be able to notice that things are actually taking some time for it to start. Boot ups may take a few minutes and your applications may seem like it is taking forever to start. And worst case is that you may also see a message that says “not responding”. With this, no matter what model of Mac you are getting, as long as you have been using it over time, you will still have this experience. This is because the storage of your Mac is actually filling up. This is actually because of the personal files that you have been storing through time. It can also be some of your business files or some of the files from a family member. This may all seem important but not all for your Mac. This is because there are a lot of junks that you actually stored in your Mac too that is associated with the useful files that you have on your Mac. These junks that we are talking about comes from those files that are usually saved in duplicates. Also with all those extensions that actually comes from the applications that you have on your Mac, your broken downloads, old applications and so much more. Because of all these issues that you are having with your Mac, we have here some of the best computer cleaners that you can use. You can go ahead and may a choice on which one you are going to get. Part 1: The New Best Mac Cleaner in Town! Aside from the Mac Cleaners that we have mentioned above, there is a new Mac Cleaner that you will love to have on your Mac. And this is the FoneDog Mac Cleaner. The FoneDog Mac Cleaner will be able to help you in speeding up your Mac with just a few simple clicks. It also has the ability to scan your Mac quickly but thoroughly and have all your junk files cleaned in no time. It also has the ability to check the system status of your Mac’s system which includes your disk usage, your CPU status, your memory usage and so much more. Aside from this, the FoneDog Mac Cleaner also has the ability to find all the same pictures that you have on your Mac and as well as some other identical files that you do not even know that it exists. The FoneDog Mac Cleaner can also scan all of your files and will give you the result in a sorted way such as according to size, by time, and more. The FoneDog Mac Cleaner comes with eight powerful features that you will not see in any other Mac Cleaner out there. Its feature includes System Status, Mac Cleaner, Similar Image Finder, Duplicate Files, Mac App Uninstaller, Extension Manager, Browser Privacy Cleanup and the File Shredder. As you can see, there are a lot of ways on how you can use the FoneDog Mac Cleaner and not just by merely removing all of your junk files. Now, for you to know how easy to use the FoneDog Mac Cleaner is, here is a guide for you that you can follow. The first thing that you need to do is to go to our official website, www.fonedog.com and have the FoneDog Mac Cleaner be downloaded from there. After that, go ahead and have it installed on your Mac. Once that the installation of the FoneDog Mac Cleaner is complete, go ahead and run it on your Mac. On the main interface of the program, you will be able to see the system status of your Mac. Then, if you are going to notice at the top of your screen, you will be able to see three option. From there, go ahead and choose “Mac Cleaner” for you to start cleaning up your Mac. Once that you have chosen an option, you will be able to see on your screen the things that the FoneDog Mac Cleaner can clean up. You will see System Junk, iPhoto Junk, Email Junk, Similar Photo, iTunes Junk and more. From there go ahead and choose a certain module. Once that you have selected a module, the FoneDog Mac Cleaner will then ask you to scan the folder. All you have to do from here is to click on the “Scan” button. And the scanning process will start. From here, all you have to do is to wait until the process is done. Once that the scanning process is done, the FoneDog Mac Cleaner will then show you all the items that each module contains. If you are going to try and click on a certain folder, the FoneDog Mac Cleaner will show you all the items that it contains. You will see this on the right side of your screen. From there, go ahead and review everything just to make sure that everything there is no longer needed. Because once that you deleted them, you can no longer recover them. Once that you have reviewed all of the items, and you are clearly satisfied with it. You can go ahead and click on the “Clean” button. Once that the process is complete, all of your unnecessary files will then be deleted from your Mac. Though there will be some folders that will be marked as “Zero KB”. This only means that those folders are auto recreated folders. So, there you have it! That is how easy to use the FoneDog Mac Cleaner is. No matter what is the operating system that you have on your Mac, here are top best Mac Cleaners that you can choose from. All of which will be able to help you in cleaning up your Mac and freeing up some more space for your new files and applications. All you have to do here is to decide which one are you going to have. 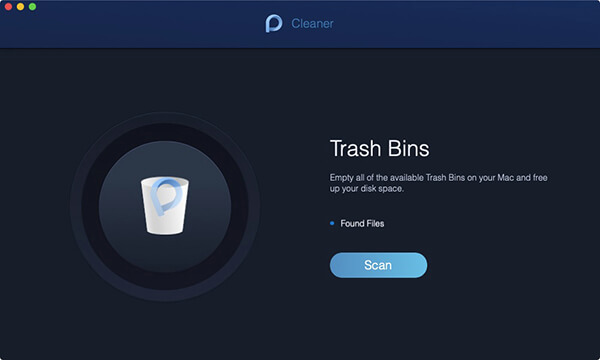 If we are going to talk about cleaning the junk files on your Mac, removing some duplicated files, and having to optimize your Mac for you to have a better experience using it, the CleanGeeker can be of service. The CleanGeeker is known to have a very strong sense when it comes to perfection that is why it is preferred by many Mac users. It also carries some of its best built-in features such as removing all of your junk files, duplicated files, large files, and so much more. This tool also uses a RAW algorithm which is a good help when it comes to the scanning process. You can also use the CleanGeeker for you to be able to uninstall any apps that you no longer use and manage those system add-ons and their extensions. This Mac Cleaner comes with four core functions such the ones that we are going to mention below. 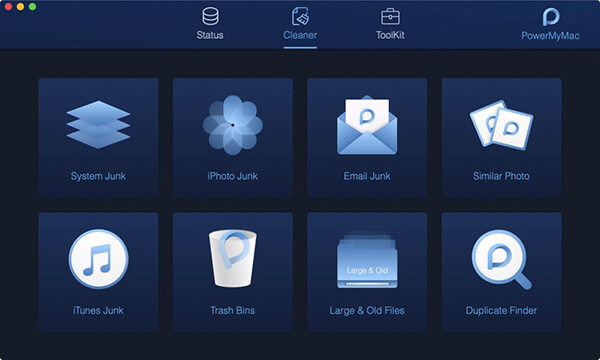 • Junk Clean – This tool can actually clean up to 12 junk files on your system and Apps. This includes your app cache, log files, language files, broken login items, browser cache, your old backups, trash files, downloads, and more. • Duplicate Finder – This feature of the CleanGeeker can help you in scanning your entire Mac system as well as your iTunes and will locate all the duplicates data that you have. This includes your music, videos, files, pictures, and more. • Large Files Clean – Once that you have made a quick scan on your Mac, it will be able to find all of the large files that you have. Also, they will be categorized in a well-mannered and can sort them as well by size and have them reviewed. • App Uninstaller – And the last feature of this tool is that it can uninstall any applications that you no longer need. It can remove any application that won’t uninstall. Now, if we are going to talk about removing all the malware that you have on your Mac, as well as your junk files, and monitoring the performance of your Mac system. Then the CleanMyMac X is the one that you should have. This tool will be able to help you in searching every corner of your Mac system. 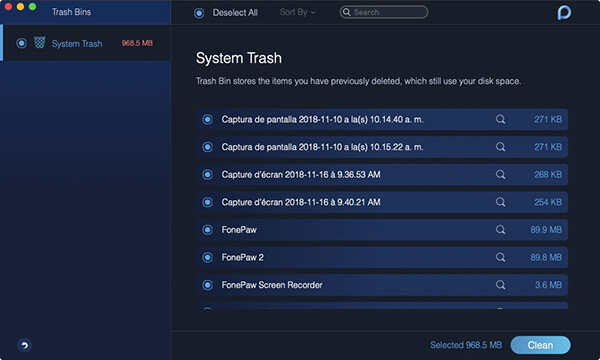 This way, it will be able to find all the duplicates that you have, your junk files, your caches, and more and from there, you will be able to remove them completely from your Mac. 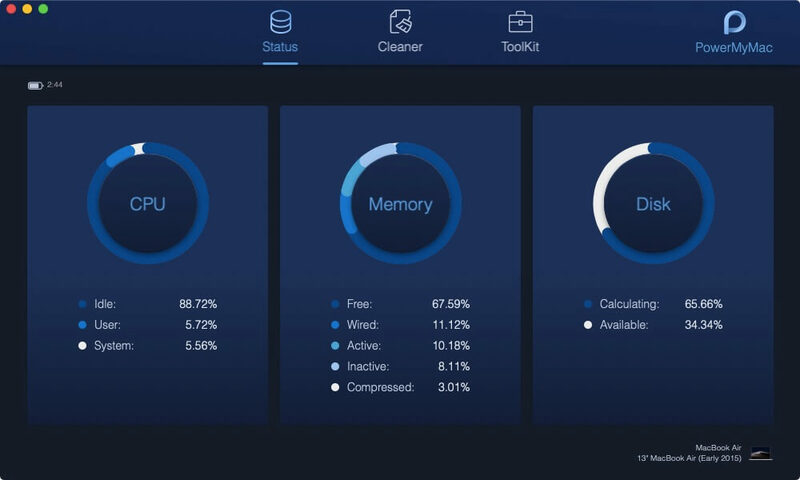 Aside from things that we have mentioned, the CleanMyMac X can also help you in managing your applications and your files. And the good thing about it is that it actually asks permission before it proceeds to delete a file. The Drive Genius is also one of the tools that you can trust when it comes to cleaning up all the junk files that you have on your Mac. And the best thing about this tool is that it can also check up your Mac within your drive and finds out if you are having some issues such as your duplicate files. Then it will go ahead and move your duplicate files directly on your trash or it can also have them replaced. If what you are aiming for is trying to have an all-in-one solution, then what is recommended for you is the MacCleanse. This tool will offer you several files erasing option. This includes cleaning up your cookies, cache, browsing history, logs, and more. You will then be able to be surprised once that you see how much space you can actually get by removing all of these files. You can also have a preview of all the content that is made by any applications. And once that you have deleted a certain data using the MacCleanse, then that means there is no turning back because everything will be done permanently. Even hackers will not be able to recover them. The AppCleaner is the best solution that you can ever get if you remove a certain file completely from your Mac. Once that you have decided to install this tool, then that means that it will be able to delete all of the unnecessary extra files that you have on your Mac. This way, you will be able to have more space on your hard disk. As you can see, there are a lot of Mac Cleaner that you can actually rely on when it comes to cleaning up all the junk files that you have on your Mac. All you have to do is to choose which one will actually suit you. But for this, what we highly recommend is to have the FoneDog Mac Cleaner because clearly, this one is the best of the best. It can do all the things that other Mac Cleaners can do. It can also make your life easier by having the FoneDog Mac Cleaner installed on your Mac.